Opt in required. New customers only. Min deposit $/€/£10. Max bonus $/€/£300. 40x wagering. Free spins, deposit bonus and bonus spins expire after 24 hours. Max redeemable $/€/£2,000 from deposit bonus. Max Redeemable from spins $/€/£10. Spins available on selected games only. Player currency, country, game restrictions & full terms apply. Established in 2006, Eurogrand stands at the forefront of the online gambling industry offering its loyal player-base a diverse catalog of over 350 high-quality games, developed by leading software provider Playtech. Its diverse portfolio is overflowing with table games like blackjack and roulette, video poker variations, and a wide range of slots, many of which boast life-changing progressive jackpots. Those, who are confident enough in their skills, can put them to the test in the casino’s Live Dealer section. Gaming enthusiasts are provided with the option to play on the move as Eurogrand is compatible with mobile devices running on Windows, iOS and Android. 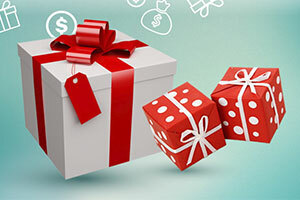 Another major advantage of registering a real-money account at the casino results from Eurogrand’s generosity towards its loyal player-base as the operator offers a variety of bonuses and appealing promotional offers. Of course, to claim a bonus, one needs to fund their account first. The good news is players who register at Eurogrand can choose from an impressive number of prompt, secure and convenient methods of payment. Players can rest assured they will enjoy a smooth gaming session as Eurogrand’s support team is always on hand to assist those who need help or information. Timely customer support is offered via the Live Chat facility, phone and email. Last but not least, Eurogrand is a fully-legitimate gaming destination. The casino operator holds licenses granted by two of the most respected gambling authorities in the world – the UK and the Gibraltar Gambling Commissions. The Eurogrand casino offering was launched in 2006. 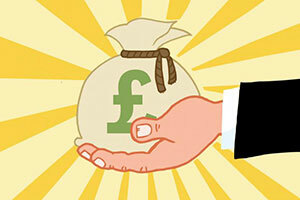 Players can deposit or withdraw no less than £10. 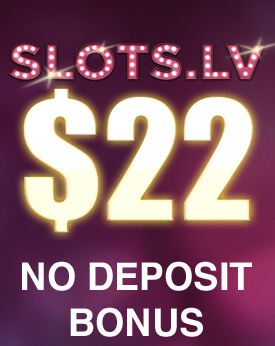 At the present moment, no active No Deposit bonuses are available. Players are advised to check Eurogrand’s promotional section to keep up to date with the latest offers available. New players can claim a Highroller Welcome bonus of up to £300 plus 100 spins on selected slots upon funding their account. Opt in required. New customers only. Min deposit $/€/£10. Max bonus $/€/£300. 40x wagering. 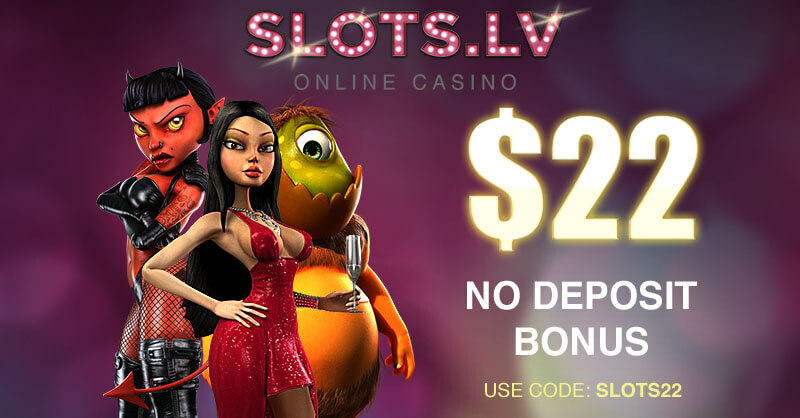 Free spins, deposit bonus and bonus spins expire after 24 hours. Max redeemable $/€/£2,000 from deposit bonus. 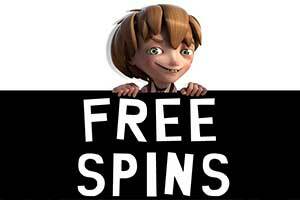 Max Redeemable from spins $/€/£10. Spins available on selected games only. Player currency, country, game restrictions & full terms apply. Eurogrand regularly offers bonuses to new and existing customers. You should check their promotions page for more information. Loyal players are granted 1 Comp Point per each £1 wager they place at the casino. Players receive £1 per 100 Comp Points. Please note conversion rates for the Comp Points are altered from time to time depending on players’ activity. Players can contact the casino’s support team or visit the Cashier to see if there are changes in the conversion rate. Games on Eurogrand are courtesy of leading software developer Playtech. Games can be played in Flash mode or via the downloadable client. Players can pick from a variety of slots with progressive jackpots, including Beach Life, Fruit Mania, Wall Street Fever, Safecracker and Diamond Valley. The casino’s portfolio features several blackjack variations, Pontoon, European, American, and French Roulette, Sic Bo, Craps, Baccarat, Caribbean Stud, and Casino Hold’em Poker. A wide range of enticing slots, video poker, scratch cards and arcade games are also on offer. The Live Dealer casino can be accessed via the downloadable client and features three roulette variations, poker, blackjack and baccarat. Eurogrand is compatible with tablets and smartphones running on Windows, Android and iOS. The mobile application for iOS can be downloaded for free from the App Store. Eurogrand accepts the following secure and time-efficient methods of payment – Visa, Mastercard, Maestro, Neteller, PayPal, Entropay, Euteller, PaySafeCard, EcoPayz, Skrill, WebMoney, POLi, bank transfers, iDeal, Abaqoos, Sofort, Giropay, Moneta, Nordea, eKonto, Trustly, Astropay, TrustPay, and Qiwi Wallet. Players can choose from a variety of currencies – EUR, GBP, USD, CAD, AUD, DKK, SEK, and HCF. Players can load the casino in any of the following languages – English, German, Czech, Spanish, Finnish, French, Japanese, Polish, Russian, and Swedish. Eurogrand holds licenses issued by the Gibraltar Gaming Commissioner (license nos. 034 &042) and the UK Gambling Commission (number: 000-039225 R-319373-001). EuroGrand earns its excellent reputation by virtue of having one of the best gaming libraries on the Internet. Powered by Playtech alone, EuroGrand is equipped to offer a great gambling experience to every single user and anyone who has ever played here can confirm this. The games selection at EuroGrand is diverse and plentiful, comprising of every popular game genre. Moreover, it can be accessed from both desktop computers and mobile devices, making it available to a wide range of users. Slots are the most numerous game type that you will find at EuroGrand. The slots selection is quite diverse and it includes a wide variety of different games. The diversity can be noticed both in terms of gameplay and aesthetics. In general, no two slots are the same and each game features its own unique theme and gameplay, giving players the opportunity to have a new experience with each individual title. Slots come in many shapes and sizes at EuroGrand and users will have access to a wide variety of games. For example, video slots come with a lot of features and are generally more complex. These are traditionally 5-reel slots games and they offer bonus rounds and the opportunity to win free spins. Such games include White King, Ice Cave, Buffalo Blitz and others. Moreover, such games also come with very wide betting limits, often varying between £0.20 and £200.00 per spin when playing on all paylines. Of course, we are talking in general terms as each game comes with its own individual betting options. As far as themes and aesthetics are concerned, the slot games at EuroGrand are quite diverse. Here you will find games featuring animal themes like Epic Ape or Hear of the Jungle. There are also slots based on popular works of literature, namely Sherlock Mystery and Don Quixote. If you are a fan of popular culture, you will surely enjoy games based on television shows or movies, for example, Ace Ventura Pet Detective, Britain’s Got Talent or Rocky. These are only a few minor examples and there are plenty more games to be seen at EuroGrand. The variety is practically unrivalled and you will never lack for choice. 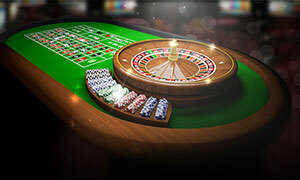 Roulette is another popular game type at EuroGrand and you will have multiple variations of the game at your disposal. Playtech’s selection of roulette games are some of the best in the industry and most of them are available at this online casino. The titles in this subsection can be characterised by their excellent visual fidelity and an overall great presentation. Playtech has placed great care when creating their table games and roulette is no exception to this rule. EuroGrand’s roulette selection is one of the best out there and you will find a good number of high-quality games to enjoy. Playtech’s Premium Roulette series stands out from the rest and it includes the three classic variations of roulette – American, French and European. The Premium games are made with special care and they feature better graphical fidelity and certain customization options. Players will be able to change the colour of the table layout and the camera angle. Additionally, these games also come with fairly wide betting limits, starting from £0.50 and going up to £300 for certain bets. Premium European Roulette offers players a racetrack wheel and announced bets, while Premium French Roulette features the ‘la partage’. All in all, the Premium Series is some of the best work of Playtech and we can enjoy it thoroughly at EuroGrand. Additionally, there are certain niche variations of roulette at EuroGrand. For example, Penny Roulette is perfectly suited for budget players, since the betting limits are quite tight. NewAR Roulette takes the classic roulette gameplay and setup and introduces new betting options to the table, allowing players to wager on certain red even numbers and black odd ones. Blackjack is an all-time favourite casino game that enjoys a significant presence in any gambling hall. 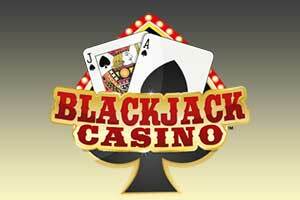 With a long history and a dedicated player base, blackjack is among the most popular games in the industry. It has a guaranteed place in any gaming library and there are many variations of the original game. Playtech is known for the excellence of their table games and the blackjack selection does not disappoint. Each game comes with its unique take on the genre and you will get to play multiple variations on the traditional style. Premium Blackjack by Playtech is one of the main games at EuroGrand and it is one that any blackjack fan can enjoy. Much like other Premium-series table games, Premium Blackjack features some amazing graphics and excellent animations. Additionally, it also includes certain side bets like the 21+3 and the option to play with multiple hands at the same time. Aside from that, another game that stands out is 21 Duel Blackjack Multihand. This game is quite different from anything else that bears the name blackjack. For example, there are community cards which the dealer and the player can use to form their hands and there is a side bet called 2 Up Side. This is a side bet on whether the community card and your own will form a pair or a three-of-a-kind, with a payout of 3:1 and 20:1, respectively. Video poker is another great casino game genre that is played on a regular basis by millions of gamblers from around the world. Dating back to the 1970s, video poker is one of the youngest and most innovative casino games available on the Internet. Combining the randomness of slots with the rules of poker is one of the ways that we can describe this game genre. Video poker is one of the most entertaining games out there, partially due to the decision making that factors into playing it. EuroGrand is host to a number of great video poker titles, which will certainly be of interest to you. This includes popular variations such as Tens or Better, where the minimum qualifying hand is a pair of 10s, or Deuces Wild, in which the 2s serve as Wild cards and can stand in as any other card in the deck. Additionally, 25-Line Aces and Faces and 50-Line Jacks or Better will give you the opportunity to play with multiple hands at the same time. Finally, each of the games listed here will give you the opportunity to win 4,000 coins, provided that you can form the highest-value hand for each title. 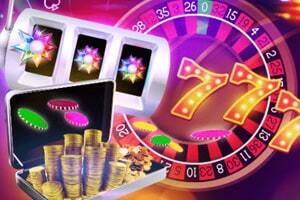 Progressive jackpots are highly sought after in the online gambling industry. These are jackpots which increase in value over time and can reach very high sums if they are not won in a short period of time. Progressive jackpots are pooled together from many different online casinos and a portion of each lost bet is contributed to the jackpot. As a result, these jackpots can rise to incredible high sums of money, with some going as high as millions of Pounds. Progressive jackpots are not exclusive to any particular game type and can be featured on any game genre. Typically, you will find them most commonly on slots, but video poker, blackjack, roulette and others. EuroGrand features a good number of progressive jackpot games, including the Age of the Gods slot series, Gladiator, Leprechaun’s Luck, Monty Python’s Life of Brian, and more. Of course, these are only these are only the progressive slots. Fans of roulette will be able to enjoy Frankie Dettori’s Jackpot Roulette, which at the time of this writing comes with a six-figure jackpot. 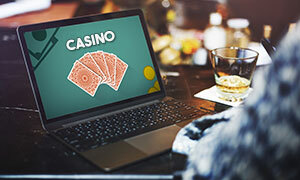 Live casinos are one of the newest iterations of the online gambling industry and they have had a tremendous effect ever since they became available almost a decade ago. Live dealer games brought the brick-and-mortar casino to the home of the player and allow them to engage in some high-quality gambling. Live dealer games are the best at emulating an authentic casino atmosphere and they represent the most advanced technology available today. Playing at live casinos is an amazing experience since you can see the dealer, the table and even communicate with the other players. This level of interaction is almost unheard of in the online gambling industry and users report overwhelmingly good experiences. EuroGrand offers an extensive selection of live casino games, provided by none other than Playtech. Playtech is one of the largest software providers in the industry and their live dealer library is one of the best out there. At EuroGrand, players will have access to games such as Live Roulette, Live Blackjack, AOG Roulette, Casino Hold’em, Live Baccarat and more. Betting limits at these games vary slightly, although most of the fall between the £1.00 – £200.00 range, thus making them accessible to a wide player base. How can I meet my wagering requirements? Players at Eurogrand should bear in mind each deposit has its wagering requirements which must be met prior to attempting a withdrawal of the winnings accumulated with the free funds. For example, if you have claimed a $10 bonus with wagering requirements of 20x its amount, you should wager a minimum of $200 before your winnings become withdrawable. 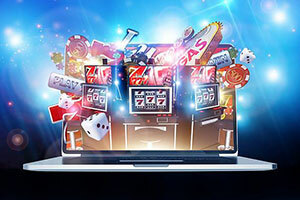 As players are given a specific period of time to clear the wagering requirements, they are recommended to play games with a higher contribution towards the said requirements, such as slots, for example. How long does it take for deposits to be processed? Deposits carried out via credit/debit cards, e-wallets, and prepaid vouchers are processed right away. Wire transfers, on the other hand, take up to five business days to process. Those, who deposit via instant wire transfers, will have the funds processed to their accounts within an hour. Who is allowed to play at Eurogrand? Eurogrand accepts players from an impressive number of countries. The only requirement to register a real-money account is to be of legal gambling age. 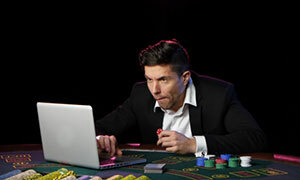 However, in certain countries, it is illegal to gamble on the web, so players need to remember it is their responsibility to check and abide by the laws of their country of residence. If you are not sure whether or not your country is restricted from Eurogrand, you can contact the operator’s support team to check. What games are available at Eurogrand? 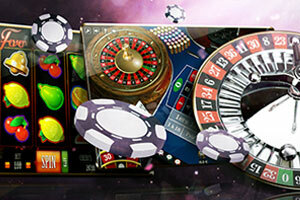 Players, who opt for installing Eurogrand’s downloadable client, can enjoy over 350 enticing games. The number of options available in Flash mode is slightly limited, yet there is something to suit the preferences of all types of players. The portfolio consists of slots, video poker, Live Casino games, table and card games, scratch cards and arcades. No, players can download the casino client and register free of charge. Yet, if the account remains inactive for 13 consecutive months and has a positive cash balance, you will be charged a small administration fee for the account’s maintenance. Needless to say, Eurogrand will notify players via email prior to deducting the fee from the account’s balance. I love playing at this casino mostly because of the Playtech slots, but they also have games from other developers, so it is always interesting here. I like trying new slots but there are some that I always return to like Great Blue, White King, and Halloween Fortune, which are all part of the game collection at Eurogrand casino. I also like some of the classic, fruit-themed slots, but recently, I started betting more on progressive jackpot games and at this casino, there are more of them than anywhere else, or at least it seems so to me. Generally, the casino is very good – there are many slots and table games, the support is friendly and reliable, and I have never had any problems depositing or cashing out. I have wanted to try this casino for some time and a few weeks ago I finally managed to find the time to open an account. I downloaded the casino software and the registration took less than 5 minutes, after which I received a verification email. On my first deposit, I was given a 100% match bonus with a 25x wagering requirement, which is average, in my opinion – some casinos want you to wager the amount of the bonus 40 or 50 times. When I started playing I had a total of £140 which transferred into £128 after some time at the slots – more than satisfactory. However, they also gave me 25 free spins that earned me some extra cash, so after another few hours, I had almost £350, a nice sum to win with a £70 deposit. I am not going into details about how I lost the money eventually, but I am happy because I was able to have great fun for five days with just one deposit. Considering this casino is owned by William Hill, it offers even better gambling experience, as the customer support is very friendly and helpful, while the games run smoothly even in-browser. You can also download the casino client if you want, although I see no point in that. The slots at this casino are very entertaining and have decent payout percentages from what I have seen so far. I usually play The Avengers, Iron Man 3, and White King, but I also like the table games, poker, and baccarat in particular. I cannot say I am a pro player, but I often win. I have lost a lot, though, just like every other gambler. Eurogrand is, in my opinion, the best Playtech casino on the Internet. It is part of the William Hill Group, but for me, it is much better. The website looks great, you can play in a downloadable client or you can play directly in the browser of your computer. If you wonder which is better, I would recommend you download the casino software, because the instant-play version of the casino has a somewhat limited gaming library. There are also great bonuses for new players – I received 100% match on my first deposit of £50 and additionally, 25 free spins. My only complaint is the wagering requirement, 25 times for the bonus and 40 times for the winnings from the spins. It is not that steep, but it needs to be met within 7 days. Try betting £2,500 for one week – it is easy if the sum is nothing for you, but I rarely spend so much on casino games.